As the automotive and transportation industries continue to be both extremely cost-conscious and forward-looking in terms of product and process innovation, effective asset management systems and strategies are essential for meeting both goals. To overcome these challenges, Ricardo leverages institutional product knowledge from over 100 years of leadership in the transportation industry. 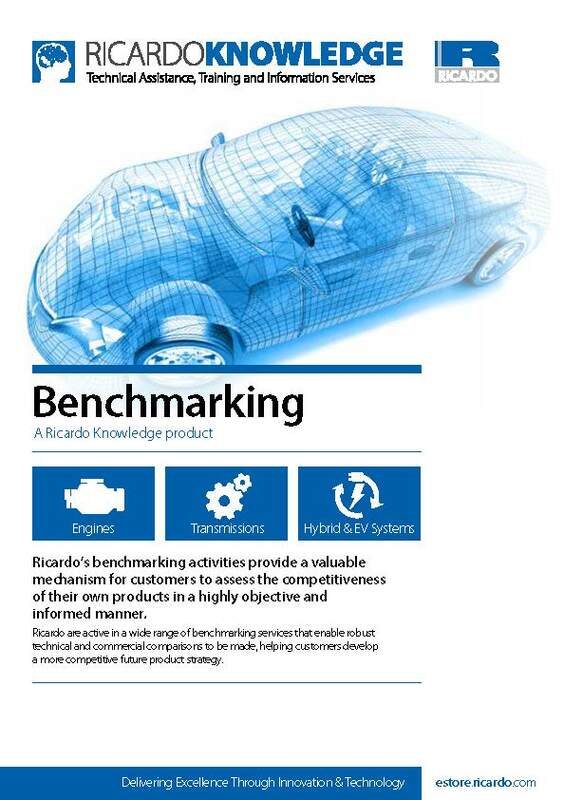 As a benchmarking leader in the automotive and transportation industries, we synthesize comparisons of the tradeoffs between a product’s features and functional capabilities in relation to its size, weight, and/or cost to identify opportunities for optimisation which will improve our client’s market competitiveness. We put into place proprietary methods for evaluating and assessing highly engineered, serially manufactured products. 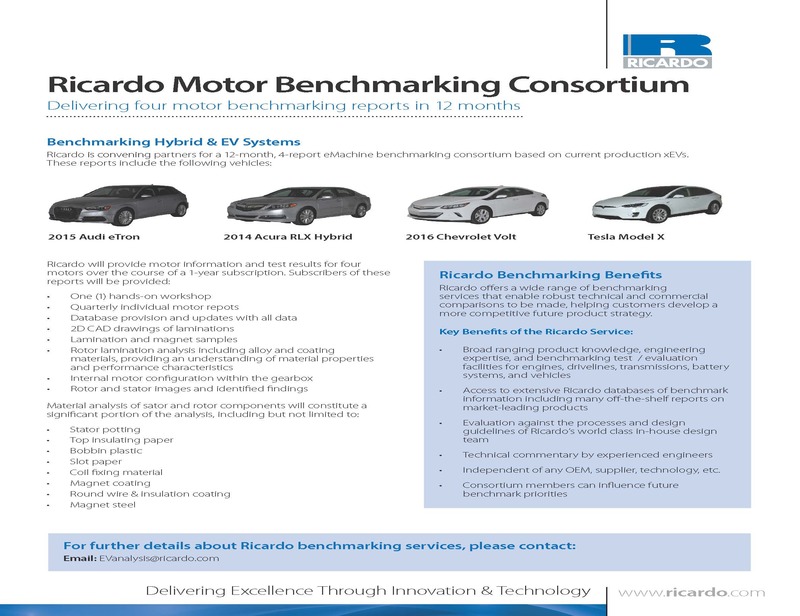 Additionally, we partner with A2Mac1 to provide the most comprehensive hybrid and electric vehicle benchmarking service in the world. Providing a valuable mechanism for customers to assess the competitiveness of their own products in a highly objective and informed manner. 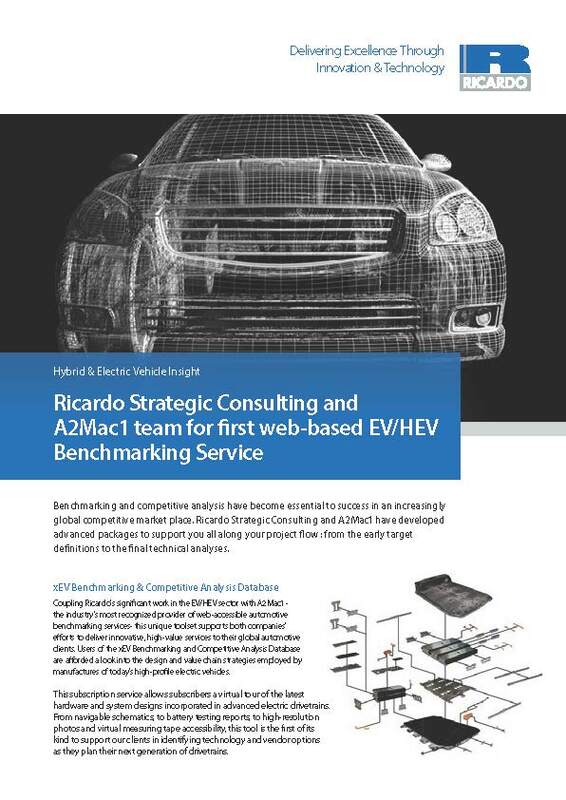 Benchmarking and competitive analysis have become essential to success in an increasingly global competitive market place.